Do you need a Kindergarten Science Curriculum that comes with not only online activities, but also printable science worksheets? 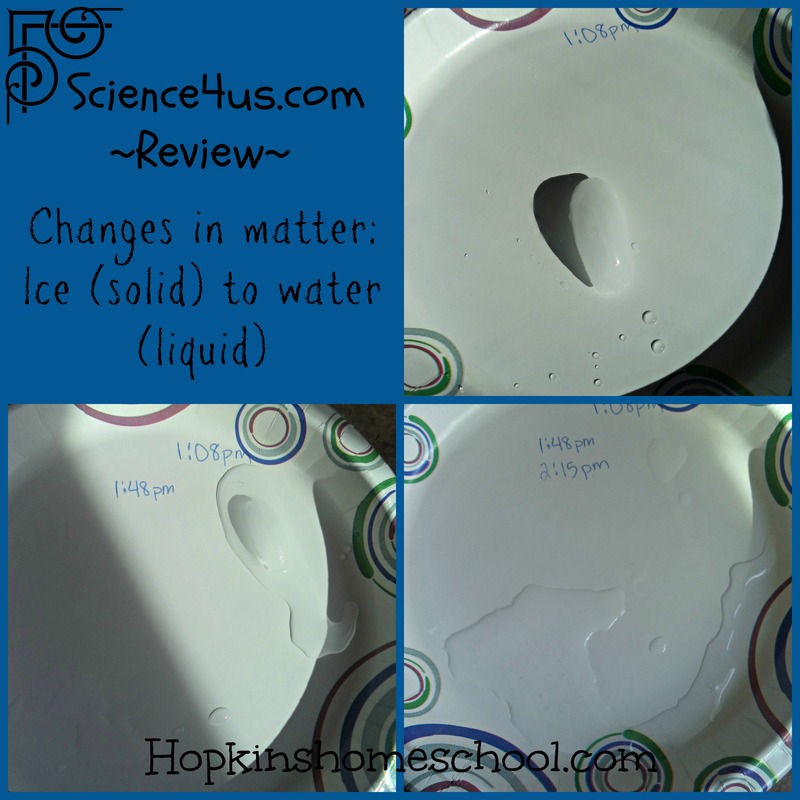 Are you after a good kindergarten program that includes science projects and experiments? What about the lessons plans for you? Oh, and what if it had 4 different areas of study such as Inquiry, Physical, Life and Earth/Space? 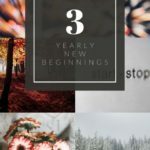 If these are the things you are looking for, do I have something to share with you! 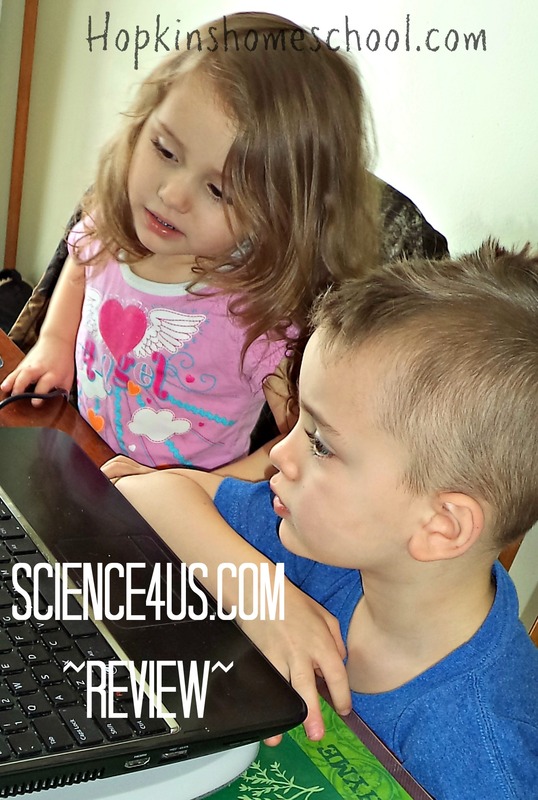 Science4Us.com is what you are looking for! 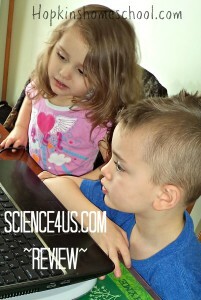 Science4Us.com Online Subscription is an affordable way to let your kids have fun with science and and easy way for you to watch them learn! 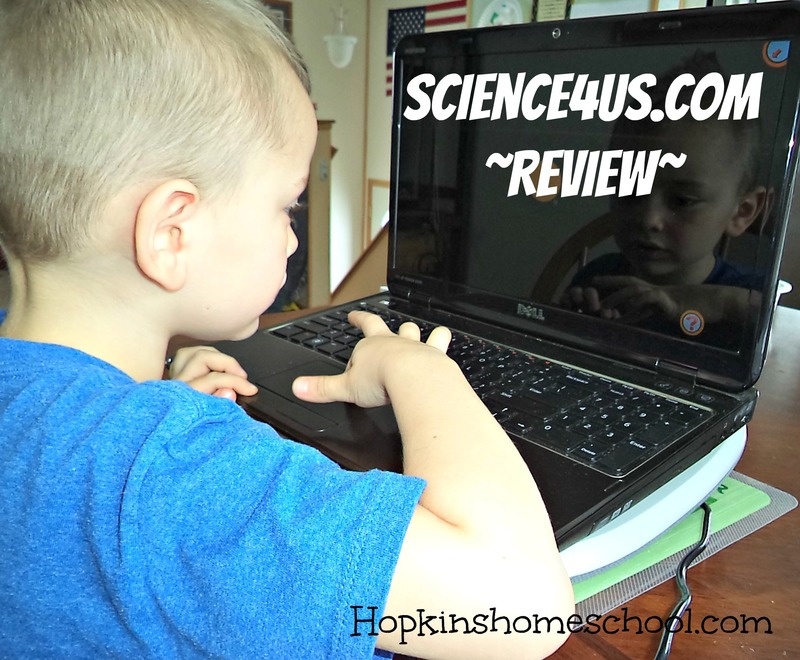 We received a six month subscription to their online site through the Schoolhouse Review Crew and both Ray Ray and Little Miss love when it is science time! 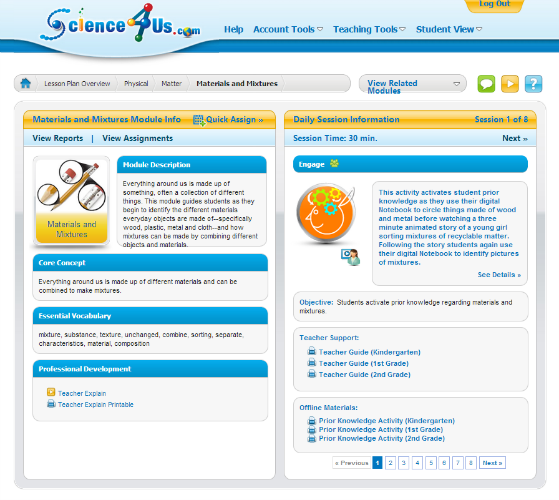 Science4Us.com is your one stop shop for your science curriculum. For the price of $7.95 a month per student, you will have all that you need. This online program does not require the purchase of any additional items if you don't want them. I have used my printer and ink to do some of the offline activities, and I also have done some fun experiments to go with the lessons. You don't have to print everything, and you can print it all if you want. There are lesson plans all set up, and as the teacher, you are able to pick and choose what activities you want your kids to complete. There are specific requirements for using this program, other than speakers so your kids can hear. We have used the speakers and when everyone else is too loud, Ray Ray will throw on his headphones. 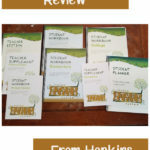 This is recommended for for use with Kindergarten up to 2nd grade, but if your 3-5th graders need extra review, this will work for them also. 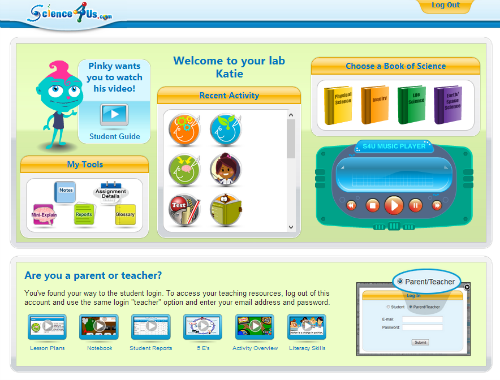 The teacher page shows you all you need to know to teach your child further after their online lesson is over. The teacher support printables explain each section that you are using and how to make them work for you (this is the section that I read online and save my ink by not printing). You are also able to find offline materials here to print up for your kids to work on (this is the stuff I love to print for Ray Ray to use). I usually come to my page in the morning, or the night before, and see what we will be working on. I take some notes and am ready to talk with Ray Ray as he is doing his lesson that day. 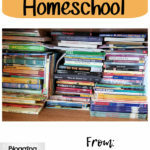 There are many different activities for you to pick out for your kids to work on. They include such things as Engage, Explore, Explain, Elaborate and Evaluate. There are also some other fun activities that add in other subjects such as vocabulary skills, alphabetizing and math skills. 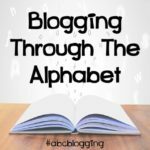 You don't have to choose for your child to do all the activities, but I have found that Ray Ray is benefiting from using all of them and showing that this is sticking with him…including all the extras, like alphabetizing. The student page is very easy to navigate. In fact, after watching the intro video, Ray Ray has begun to navigate this page better than me! I log him in, and let him go! After my review the night, or morning before, I am able to ask Ray Ray questions as I am making lunch or supper, but I usually end up loosing him to the activities before I know what has happened. We started with the Earth/Space unit and right away we were being told that all our simple explanations of things were wrong 🙂 This is one of those times when I don't care that my children correct me. A shooting star is not a shooting star, it is a comet or meteor. Or how about Ray Ray's newest phrase…"Where are you going, Jupiter?" He is loving that he knows something and is able to tell us about it. Our first day with the program ended up being a full science day. Ray Ray loved it so much that he didn't want to stop…in fact he did over 3 days worth of work in just one sitting! He was having so much fun and I just didn't want to stop that fun learning. After that, we tried to limit how much was done each day. I have seen him learn how to alphabetize and love watching him pick out patterns, such as night and day, and seasons. I try to start each day with simple questions of what he might already know and what he thinks we are going to talk about. After going through the lesson for the day, I like to have him tell daddy what he is learning. He is able to tell him all about what he learned, and I am able to see what he is remembering. So, you are now going to want my honest opinion right? Well if you couldn't tell from what I have already written, we loved the program. This is something the clicks with Ray Ray and I love to see this. Ray Ray loves the program also. He gets excited every time he "has" to do it. The only thing he complains about is when he gets an answer wrong. He loves getting the answers right, and pays more attention now that he knows he will be quizzed. I haven't found a reason not to like this program yet. I enjoy watching my kids learn and I see that happening every time Ray Ray sits down to do his science! I was just one of a few who got to review Science4Us.com. 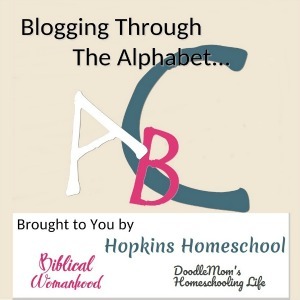 Make sure you show the love and visit the other blogs by clicking below. Very interesting curriculum! Thank you for the review.